What you can do today! • Educate yourself on chemtrails so you can tell others. • Educate your friends and family. • Educate your elected officials at every level. Be VERY persistent to with them. • Write letters and email local newspapers. • Educate college students • Educate your doctors and nurses about chemtrail health effects. • Call radio programs that you listen to and educate your favorite talk show host. • Call local TV stations and ask them to cover chemtrail spraying on your area. • Educate teachers on all levels about outside exposure to playing during chemtrail spraying. • Make some flyers and post them around your town about chemtrail spraying. • Stand on busy corner with signs letting people know they are being sprayed. • Educate local police. • Educate school • Educate lawyers who can file injunctions for your community to stop chemtrail spraying. • Create Facebook pages, chemtrail blogs and twitter when you are being sprayed. • Take pictures and videos and send them to family and friends, • When being sprayed call someone and tell them to look up. • Alert others every where you go out when you see chemtrails in the sky. • Boycott any companies involved in producing any chemtrail related product/service. • Stand on corner with a “Stop Chemtrails!” sign. 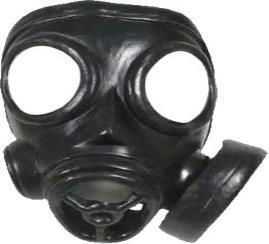 Wear a gas mask. • Encourage each other. • Be gracious towards one another, join together and stay focused until we are able to get chemtrails spraying stopped. The reality is that nothing is going to protect you from breathing the micron particles that are falling from chemtrails spraying. These particles are so small that they will enter into your body through your eyes. Most of us have already been exposed to toxic metals and chemicals with whatever concoction is being spraying on us. Here are some tip from people who have been through detoxing from chemtrail spraying. • Stay indoors when chemtrails are being sprayed. • Drink plenty of water. Water helps to flush toxins out of the body. You might consider drinking distilled water as you are detoxing. • Build up your immune system. (chemtrails weaken the immune system) • Get direct sun light when spraying stops. • Get a Heavy Metal Detox supplement. 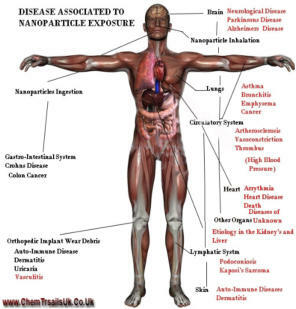 We have found a product called Diatomaceous Earth (food grade) which has alot of other health benifits. • Keep young children and the elderly inside during spraying. 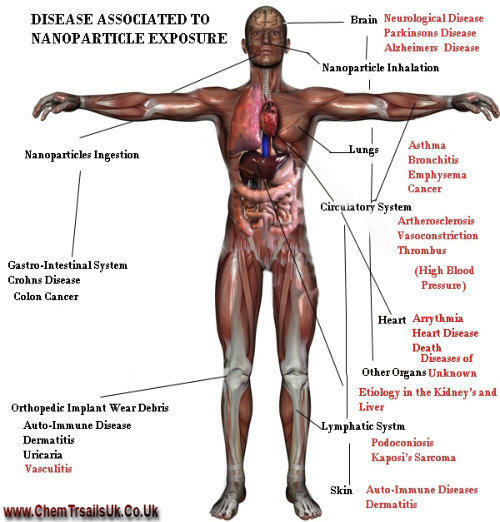 • Avoid Vitamins that contain lots of minerals that could mix with chemtrail metals that could “accelerate” chemtrail effects. • Increase your Vitamin D intake. • Exercise • Keep 2-3 months of water, food and money in the event there is a breakout of some airborne disease. • Red or white wine before bedtime after proplonged exposure has helped some people. Wine contains tartaric acid that helps • Ice cream if nothing else, forms a mucus in the body that helps surround the chemtrail ingredients through the lower intestine tract where the toxins would normally cause gastrointestinal toxicity. • Drink lots of apple juice and eat apples within first 12 hours of a chemtrail spraying, in our case drink it all day. • Do not get the flu vaccine this year especially after having your immune system weakened by chemtrails. .